My sister is having a baby this August (yay!) So I’ve decided to learn how to crochet so I can make something special for our future bundle of joy. 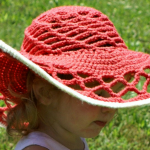 I want it to be something special – something that looks a little more fancy than your basic crochet project. After doing some research, I’ve found that the V-stitch is just the ticket for making your projects look nice without being too difficult. 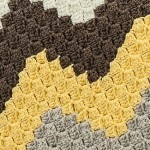 If you can create chains and double crochets, you can do the V-stitch. Follow this easy tutorial to find out how. I’ll wait here…. Think you’ve got it? Great! 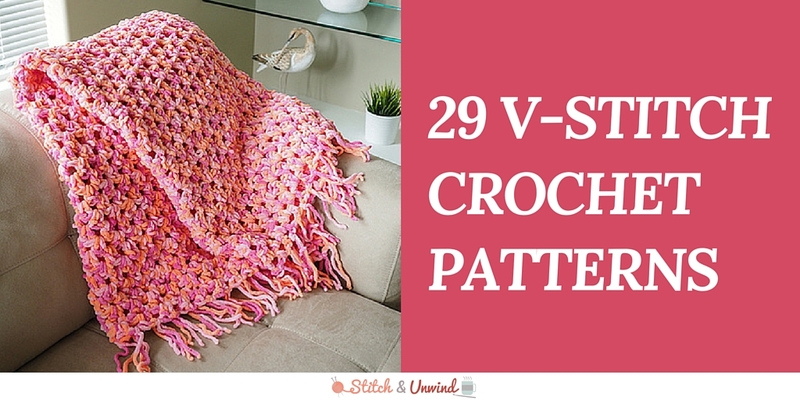 Now that you know how to make a V-stitch, look below for 29 simple crochet patterns that you can make using this technique. The Vanilla Bean Scarf looks to me like a great place to start! This lacy crochet top looks great on anyone! 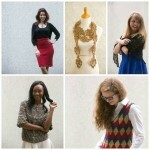 You’ll look super chic wearing one of these amazing crochet patterns! Make your own tunic, headband, scarf, or shawl with these stunningly easy crochet projects. There’s something here for everyone, from your grandmother to your niece. Flaunty Flared Crochet Skirt Your daughter will love this! This adorable afghan is ready for those cool summer nights. 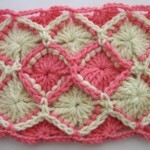 Keep your little one warm with these cute crochet baby blankets and cozy afghan patterns. 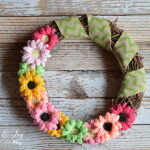 (I plan on making the Merry Melon Afghan for my future niece or nephew!) And who doesn’t love a fuzzy afghan for keeping their toes warm in the winter? These V-Stitch dishcloths are super easy and super cute. 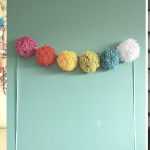 You can crochet more than just blankets and sweaters. 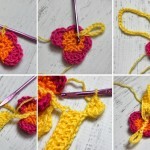 Start with the simple V-Stitch patterns below and then see what other crochet ideas you can come up with! Mermaid Crochet Doll Dress Barbie never looked so good! 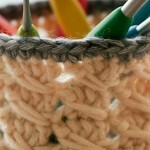 Let us know: What is your favorite type of item to crochet? I like to knit or crochet scarves , hats and shawls , because they make great gifts.